Kick back, relax or walk for miles along the best beach on the island. Kaha Lani, on the Eastern shore, is the HIDDEN GEM of KAUAI. Swim, snorkel, see the Fern Grotto and the Opeaka'a Falls. Hike up Sleeping Giant, or take a canoe trip on the Wailua river. Go shopping at the Coconut Market or just eat ice cream on the beach. You can walk there from here, we're that close! 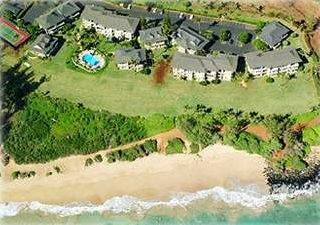 Walk down the beach to snorkel at Lydgate Park, play on our tennis court, or tee it up next door at Wailua Golf Course, site of the '96 USGA Publinks Championship. The condo offers eye popping sunrises and great whale watching right from your living room and lanai. At the end of the day, sleep like you're home on our California King 'Pillow Top' Bed. Still want to cook? Enjoy our full size Kitchen and gas BAR B Q's. Our home is NON-SMOKING allergy free, crisp, clean and bright. So pack your shorts, tee shirts, flip flops, swim suits and camera and come recharge your life's batteries. Become Kauai solar powered. Golf on the Walua golfcourse just up the road, hikes on Sleepy Giant, walks on the beach, Kayaking in the Wailua river.